Check out this portion of the site to get a better understanding of Narutoverse Roleplay by reviewing the storyline of the current plot. All members of Narutoverse Roleplay must follow the rules of this site accordingly. Failure to comply will result in minor or severe consequence. If you cannot comply with the rules please remove yourself from this site. The News and Updates section will list new and important general information/additions to this Role-Play. Please review this section whenever possible to keep yourselves updated. Role-Play will be placed on halt. 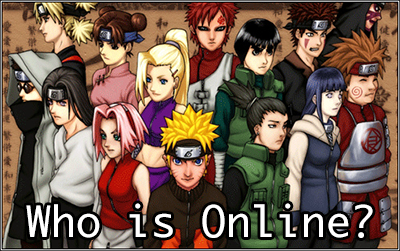 The Guide to Narutoverse Roleplay is handy for any member of this site as it lists important information and is constantly updated by the staff. 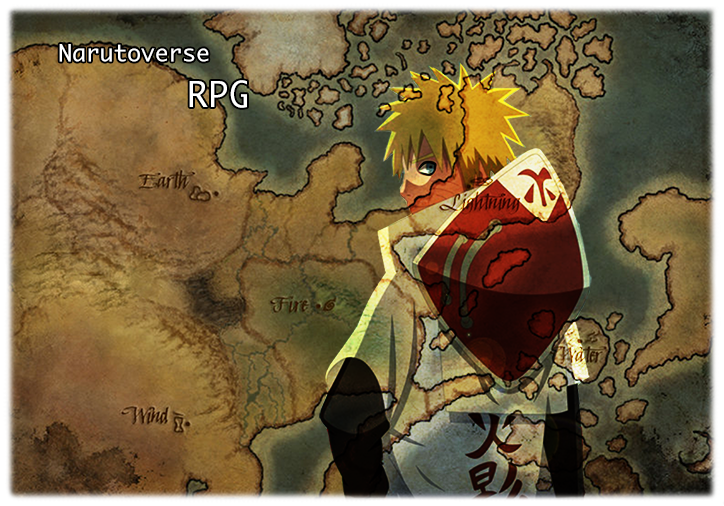 It is recommended that all members view the Guide of Narutoverse Roleplay to keep themselves informed with important knowledge pertaining to the community. This section is also used to understand the fundamentals of the various features included within the site as well. In this section of the Role-Play members can create a character with the exception that they follow the template and guidelines. If you are creating a custom clan than make sure to complete the clan application before your character application. After your Character Application gets approved by a member of the staff you may begin role playing in Narutoverse Roleplay. Please follow the guidelines and if you need help feel free to contact an administrator or moderator and please do not spam messages as the staff can only deal with so many issues at once. In this section of the Role-Play members can create a ninja clan with the exception that they follow the template and guidelines. After your Clan Application gets approved by a member of the staff you may create a character and begin role-playing on this site. Please follow the guidelines and if you need help feel free to contact an administrator or moderator and please do not spam messages as the staff can only deal with so many issues at once. In this section of the role-play members are intended to create Jutsu specialized for their individual character(s). This section is to not be used during the character creation process as you will have the option to create/select Jutsu when you begin working on your character application. In this section of the role-play members are intended to create a unique weapon specialized for their individual character(s). This section is to not be used during the character creation process as you will have the option to create/select a unique weapon when you begin working on your character application. Please note that basic ninja tools are excluded from this phase as all shinobi start with the basic ninja tools. As members earn Ryō from posting they will have the option of purchasing beneficial features/additions to their character to further make their role-playing experience interesting and help expand their character in general. Please do not post in this section unless you have the required Ryō to purchase the feature/addition you are interested in acquiring. The Mission System of this site is a specialized tool granted to the Kage which will enable all Kage to give out missions to shinobi of their specified villages. The rules of the system require that the template for Mission's is followed accordingly as well as the rules incorporated with the Mission System. Remember that characters can die during missions so for the Kage and the members of that Kage's village ensure you carefully choose the mission. If your mission will incorporate some kind of reward ensure you (the Kage) get it approved by a member of the staff. The Land of Lightning (雷の国, Kaminari no Kuni) is located on a peninsula north-east of the Land of Fire and is one of the Five Great Shinobi Countries. Its government leader is the Lightning Daimyō. In the center of the country are vast mountain ranges, whose many thunderstorms are said to give the country its name. From these mountain ranges, many rivers flow to the sea, creating a very crooked coastline that displays an impressive oceanic beauty. There are many hot springs located within the country. The Land of Water (水の国, Mizu no Kuni) is composed of many islands, with each having its own unique traditions. The country's weather is typically cool and the islands are usually covered by mist. The islands themselves also feature many lakes. In some places it is very cold and snows quite a bit. The nation is oriented towards the element of water. Its government leader is the Water Daimyō. The Land of Wind (風の国, Kaze no Kuni) is one of the more prominent countries in the series. It is located to the south-west of the Land of Fire and borders the Land of Rivers and Amegakure. Its government leader is the Wind Daimyō. The country covers a vast realm, but that realm is largely composed of deserts. Because there is very little rainfall throughout the year, the people of the country live in villages built on one of the desert's many oases. Despite the country's extremely harsh environment, it has a large population. The Land of Iron (鉄の国, Tetsu no Kuni) is an icy, snow-covered country. It is politically unusual in that it has remained neutral and never been involved in the ninja wars. In fact, the shinobi have a rule since long ago that they would not meddle with the land. Despite this, it is said to have an incredibly strong military which is manned by samurai, instead of ninja. It is located among three mountains called the Three Wolves (三狼, Sanrō). The Kage Summit takes place in the Land of Iron due to its security and neutrality, which it has prepared for by strengthening its guard. The Land of Sound (音の国, Oto no Kuni) is a neighbor country of the Land of Fire. It is a relatively new country in the political scene, though it has existed for some time under the name of the Land of Rice Fields (田の国, Ta no Kuni; "Land of Rice Paddies"). Orochimaru had conquered the country and convinced its daimyō to let him establish his own ninja village. The Land of Rain (Ame no Kuni) is a small nation situated in between three of the Five Great Nations, being the Land of Fire, Land of Wind and Land of Earth. It has served as a battleground in many wars for its position on the world map and over the years the people have remained in an impoverished state. Storm clouds loom over the land all year long but at times, it does stop, though very rarely. Within this nation is the small albeit highly industrialized ninja village called the Village Hidden by Rain (Amegakure no Sato) with a reputation for fear and success within the ninja world. The Land of Rivers (川の国, Kawa no Kuni) Pakkun had discovered the first known Akatsuki hideout in one of the country's caverns, where the Akatsuki extracted the Shukaku from Gaara's body. The hideout was decimated shortly thereafter during a battle between Sasori, Sakura and Chiyo, and subsequently abandoned. This country also holds Katabami Kinzan gold mine, village, and processing centre. There is an exclusive shop renowned as the Curry of Life shop. The Takumi Village and Tanigakure also reside here. The Land of Birds (鳥の国, Tori no Kuni) is a small country located between the Land of Wind and the Land of Earth. Naruto, Neji, and Tenten were sent to the country to investigate the rumour of the ghost of Cursed Warrior, as well as protect the daimyō, Sagi. They eventually learned that a group of wandering ninja called the Watari ninja was hoping to take over the country through a complex conspiracy. These ninja were defeated in the end. This land gets its name from the large number of birds that migrate to it each year. The Land of Waves (波の国, Nami no Kuni) is a nation located on an island near the Land of Fire, and it does not have a hidden village, relying on seeking assistance from other Hidden Villages like Konohagakure. The Land of Waves has many rivers running through it and is famous for its mangroves, which are filled with all kinds of lifeforms. Though an isolated island, relying on shipping for commerce and trade, it was prosperous. This changed when Gatō set his sights on it, breaking the people's will and monopolising the shipping industry. In order to break this monopoly, Tazuna, a citizen of the Land of Waves, pursued the construction of a bridge connecting the island to the mainland. later with the help of Zabuza and the townspeople ending Gatō's reign of terror. With Gatō gone, the bridge was completed, connecting the Land of Waves to the Land of Fire, increasing commerce and trade and bringing more revenue to the Land. It is now a prosperous area. The Land of Forests (森の国, Mori no Kuni) is a country full of forests, which makes the river the only crossing access. The criminal group Shinobazu is acting around in this country. Gantetsu, who was a member of Shinobazu was captured and was supposed to be brought to the country's capital for a trial. He never made it however, as the ship was attacked by the Shinobazu. He "escaped" and, along with Naruto Uzumaki and another they managed to defeat the Shinobazu. In the end, Gantetsu's name was cleared. The Land of the Sea (海の国, Umi no Kuni) consists of several islands, Mother Island being the main one. It's surrounded by three other islands; Jiro, Taro, and Demon Island. Jiro Island is where Anko Mitarashi was abandoned and taken as a test subject for the Cursed Seal of Heaven by Orochimaru, and was eventually found by the ANBU. Orochimaru had a hideout here, and several of his forbidden experiments were conducted here as well. One of his subordinates continued the work after Orochimaru abandoned it, leading to attacks on the local ships. It is not a prosperous nation, and relies on Land of Water ninjas for protection. The Forum Discussion is intended to be used by the community when thinking of ways to get involved with the role-play or when creating ideas to further your own character's development in the forum. It's also intended to be used by the community should they have questions or suggestions or concerns for the Staff of the forum. Basically, anything more directly related to the role-play should be posted here. This board is intended for members to use when talking about something relating more on the lines of other topics that do not involve this Forum. You may also place polls within the off-topic discussion board. Please make sure to be appropriate when doing so or else you will suffer the appropriate consequence and your post will be deleted. The Spam board is simply intended for members to post random topics and responses. Members are encouraged to post simple games within the Spam section. Please make sure to be appropriate when doing so or else you will suffer the appropriate consequence and your post will be deleted. The Media section is intended for members to post music, music videos, movies, anime, artwork and etc. Generally, it is meant for all around entertainment. Please make sure the Media is appropriate and if Media contains Explicit Language make sure to include that in the video. Failure to comply will result with a consequence and deletion of your post.